Active electronics on a lefty 5. This stylish and affordable electric bass features an 18V active pickup system with two EMG-designed single coils. The electronics consist of a master volume and a master blend knob that mixes the relative volume of the middle and bridge pickups. There is also a three-band active rotary EQ with cut and boost controls for bass/middle/treble. The satin finish lets the swamp ash grain show though and the lines and hardware complement to the inherent stylishness of this versatile bass guitar. Flat top with gentle contours on the sides. Lefty 5-string. 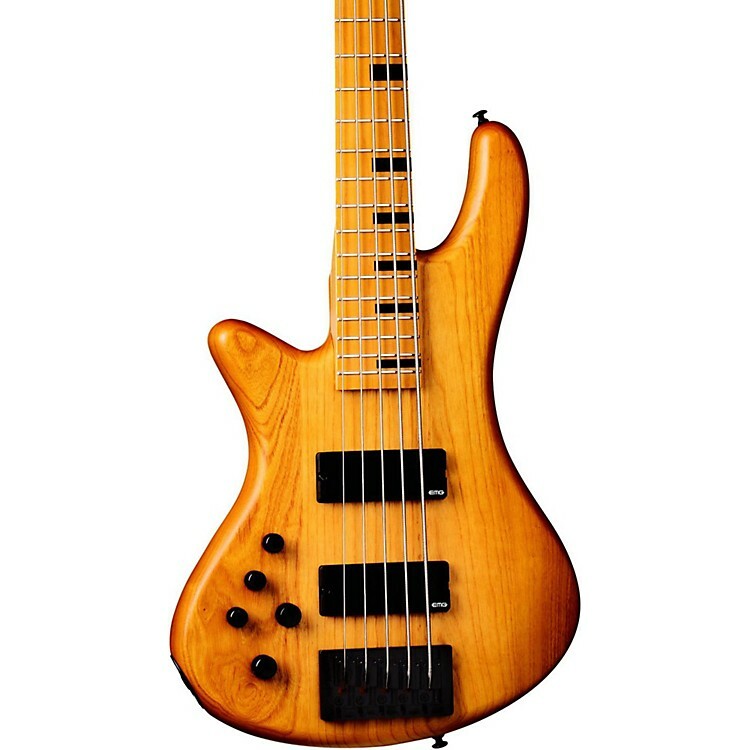 Quality hardware, a slender and fast neck, active pickups and a handsome design make this a bass that is both affordable and professionally presentable. Beautiful lefty with quality features. Order soon.